Bell & Ross and Infiniti, the luxury car brand, is launching an exclusive watch to celebrate their collaboration. The Limited Edition BR03-92 Instrument Phantom Infiniti watch is to be produced in a limited edition of just 100 individually-numbered pieces. The watch commemorates the recently released Infiniti FX Limited Edition performance vehicle. The timepiece is powered by the automatic mechanical movement - ETA 2982. The movement allows for hours, minutes, seconds and an animated the date function with quick correction. The Bell & Ross Limited Edition BR03-92 Instrument Phantom Infiniti watch features a 42 milimeters steel case treated with a the black carbon powder finish similar to the graphite finish on the Infiniti FX Limited Edition. The galvanic black dial has large hands indicating hours and minutes and a seconds hand with a distinct purple coating used as a compliment to the instruments of the Infiniti car. The numerals and index markers have been treated with a photo-luminescent finish for optimal night visibility. The dial is protected by an anti-reflection sapphire crystal. The screw-down case-back is engraved with the Infiniti signature and is individually numbered. The solid construction of the timepiece allows for a 100-meter water-resistance. 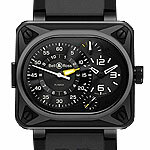 The watch is completed by a heavy-duty synthetic black fabric or rubber strap. 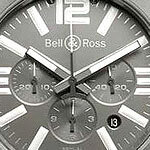 In the 18 years since its debut as a company, Bell & Ross has truly made a name for itself in the world of luxury watches. Their biggest success thus far has been with their Instrument watches launched in 2005. 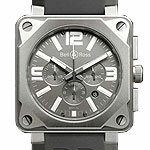 Now Bell and Ross will introduce a new version of two of their most popular watches, the BR-01 and BR-03. These models will now be available with a smaller, 39 millimeter case size. 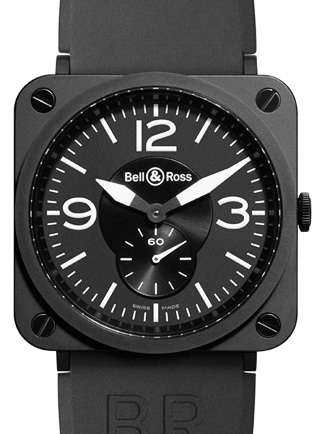 While the other model are quite large this unisex size will allow Bell and Ross to tap into a new market of watch connoisseurs that may have previously stayed away from the brand, and may even attract some of the female demographic. The new BR-01 and BR-03 watches feature a 39 millimeter matt black ceramic case in its well known square case shape. Notable is the use of a matte finish instead of a glossy polish of the previously developed models. Each case is fitted with four black steel screws. The dial also features white photo-luminescent markers and hands for great visibility under poor light conditions, displaying the functions of hours, minutes and small seconds. The watches are completed with a rubber strap. The watch is powered by the ETA.980.163 precision quartz movement. 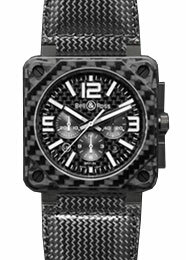 Carbon fiber has become an inspirational material for many luxury watch manufacturers. Where once limited edition pieces were limited to platinum and other fine metals, now more and more limited edition pieces are being crafted from this sturdy and beautiful material. Bell & Ross has taking it and created its two new limited edition sports models for its BR 01 collection. The first of these timepieces, the BR 01-94, features a three-counter automatic chronograph with date, while the BR 01-92 model is a simpler example with time display and sweep center seconds. Both of these Carbon Fiber watches are to be limited to 500 pieces. Construction of these timepieces was accomplished by barrowing techniques used in the aeronautical industry. 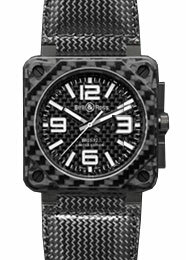 Each case measures an impressive 46 mm and produced entirely from carbon fiber. The bezel and dials are both carbon fiber as well, creating an interesting look of one continuous piece. Each strap has been crafted from woven carbon and treated with a semi-gloss finish and completed with a blackened tang buckle. The BR 01-94 version is animated by the ETA 2894 chronograph movement which allows for an easily adjustable date function, small seconds and of course the chronograph with 12-hour and 30-minute totalizers. The BR 01-92 is powered by the ETA 2892 automatic movement which features an interesting seconds function that allows for precise synchronization to a time signal, or perhaps another watch. Both of these movements have balance frequencies of 28,800 vibrations per hour, a power reserve of up to 42 hours, and are water resistant to 100 meters. The Bell & Ross brand is one that strives for to be among the best when it comes to innovation and performance of their timepieces. Their development of the Instrument BR01 Pro Titanium is no exception. This chronograph watch is a high-tech professional tool and the product is a watch which achieves optimum performance. Inspired by the field of aeronautics, the design and materials of the chronograph watch took its inspiration directly from aeronautical construction techniques. Though easily recognizable as being part of the Bell & Ross family, the Bell & Ross Instrument BR01 Pro Titanium has several unique quality that set it apart. 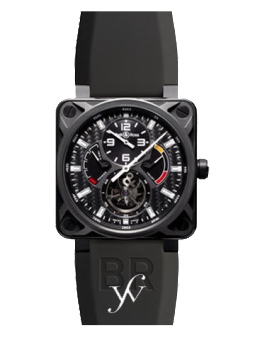 The new BR01 Pro watch features the use of several high-tech materials. The extra large case measures 46mm in diameter and has been constructed from grade 2 titanium with an ultra-light satin-finish. Chosen for its durability and lightness, titanium is becoming more and more popular among watchmakers for several reasons such as its ability to adapt to body temperature and its hypoallergenic qualities. The high-tech architecture of the case is emphasized by the octagonal bezel. The grey dial is slightly different than other BR Instrument timepieces in that the hour markers appear bolder than usual, and the hands feature a broad baton shape. The dial hands and markers feature a white Superluminova photo-luminescent coating and is protected by an anti-reflective sapphire crystal. The watch is fitted with a rubber strap with a broad titanium tang buckle. The Bell & Ross Instrument BR01 Pro Titanium displays hours, minutes and seconds, as well as a 3-counter chronograph with 12-hour, 30-minute and 60-second. A date is also displayed in a small window between the four and five o'clock hour markers. The mechanical-automatic chronograph movement is an ETA 2894 chronograph caliber movement which offers an excellent precision of adjustment. The watch is water resistant to 100 meters. 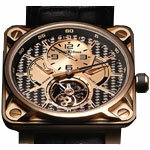 Bell & Ross' collection of BR 01 Tourbillon watches has expanded yet again! This newest version is made in beautiful 18 karat rose gold and is my favorite by far. The 18 karat rose gold compliments the trademark square shaped case extremely well and the rose gold aspects of the dial are superb. You may choose the watch either entirely in 18 karat rose gold or 18 karat rose gold and titanium-coated black DLC. The Bell & Ross Instrument BR 01 Tourbillon Gold has a large case size at 46mm, and both the front and back of the watch have scrath-proof sapphire crystal. The dial is made from carbon fiber and rose gold and shoes hours and minutes, movement power reserve and a trust index in the rose gold center. A window at 6 o'clock shows the tourbillon escapement. The Tourbillon gold features a manual winding movement with a carbon fiber main plate. The complications include a regulator, a precision indicator and a power reserve indicator. The power reserve is up to 120 hours. You have the choice of an alligator or Bell & Ross-signed rubber sports strap with a broad ardillon buckle in rose gold. The Water resistance for this model is rated for 100 meters. Bell & Ross has had great success in its 16 years as a company, but its biggest success has been with their Instrument watches launched in 2005. This year Bell & Ross introduced the BR Instrument Grand Minuteur, a 10-hour monopusher chronograph with flyback. The Grand Minuteur features one of a kind functions, an hour counter connected to a large counter, a timer that measures short times and an additional flyback function that launches a new measurement almost immediately. The dial was created with pilots in mind, with the large flyback chronograph display for easy readability. The extra-large case is 44mm x 50mm but is kept relatively light by using an angled rib structure and a Diamond Like Carbon finishing coat. A tourbillon version of the Minuteur was also released this year. The BR Instrument Minuteur Tourbillon has a very similar design to the Grand Minuteur, but the chronograph and the time display have been switched and the power reserve and small seconds hand have been moved so the tourbillon would fit on the dial. 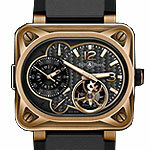 The case is the same extra large diameter but is made from satin-polished pink gold. Both watches are water resistant to 100 meters and are available on either an alligator or a rubber straps.